Within 24 hours of finding out about Lake of Stars on Twitter I was sold. I have never been to Malawi, I have never been camping in Africa and I have never been to a festival in Africa. I kept thinking about all the reasons why I couldn’t go that I thought hold on, why not? Sometimes it’s not about being prepared, it’s about making a choice and just doing it! I had been thinking of going away this month to celebrate my birthday but I just didn’t know where to go. I know I have a lot of choice considering I still have 50 plus countries on the African continent to visit, however the problem is choosing where to go first. I was thinking of Egypt but the flight times were just not favourable for me given I only wanted to spend a few days away from home this month. As soon as I saw Lisa’s tweet I replied to her saying I would love to go. I didn’t put much thought into it but I looked up the festival and was surprised to see it had been going on for a few good years and I totally missed my favourite South African band Mafikizolo at last years’ event! I knew of other festivals in Ghana, Nigeria and South Africa but not in Malawi. 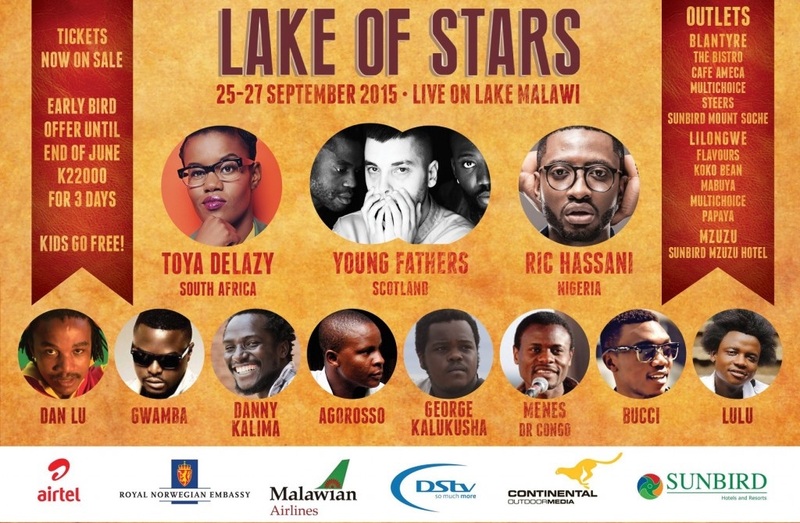 Lake of Stars is a celebration of music, art and culture of Malawi and beyond. This year there will be more artists from Nigeria, Scotland and South Africa performing over 3 days in Sunbird Nkopola Lodge, Malawi.